A clever pigeon got around in style comfort this week after opting for riding the TTC opposed to, well you know, flying. 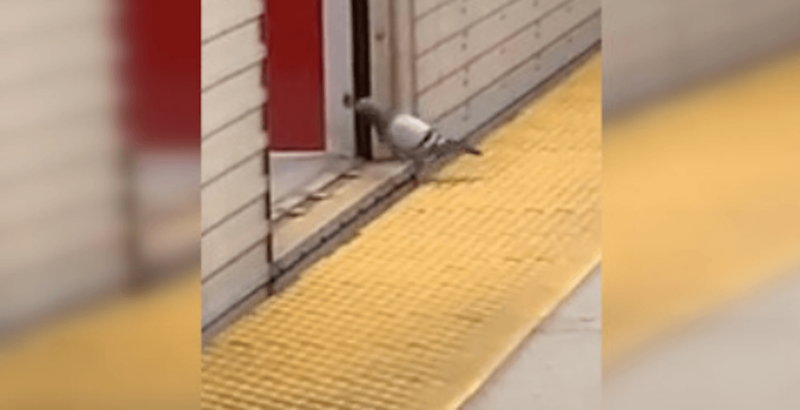 A fellow commuter saw the bird walking along a subway platform and filmed the pigeon as it weaved its way through riders, making its way to the upcoming train. But talk about a courteous passenger… the bird can be seen politely standing back from the yellow line to let other riders depart the train before boarding it. If only all Toronto commuters were this polite. This pigeon wasn’t the first wildlife to join riders during their commute. The city’s unofficial mascot has been known to cause delays on the TTC, too.